It's quite normal to feel anxious or low when times are hard. Job insecurity, debt and financial issues can all lead to emotional distress. Still, there are many things that you can do to help yourself in a difficult situation. What are the potential side effects of financial problems on mental wellbeing? 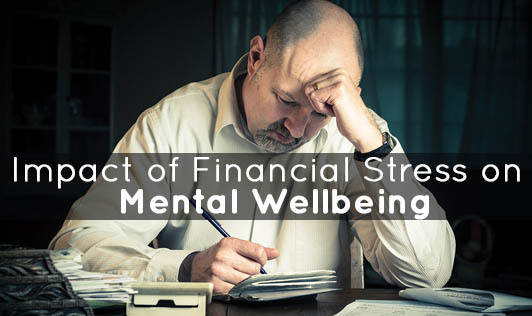 Professor David Richards, from mental health services research at the University of Exeter, explains how financial problems can affect your mental wellbeing. Losing your job can affect your self-esteem and financial circumstances which in turn, can trigger emotional distress. You may also be feeling, thinking or even behaving in ways that are unusual. But this does not necessarily mean that you're suffering from an anxiety disorder or depression. • Changes in the way one thinks, for instance having negative thoughts as "I'm not worth it" or "I'll never get another job"
Professor Richards' top tips for coping with feeling low and anxious are: "Be more active, face your fears and don't drink too much alcohol." • Being more active means not withdrawing from day to day activities. Continue meeting your friends. Keep your CV up to date. Remember, not to ignore the bills and try to keep paying them. If you have more time when you're at work, take up some form of exercise. This can definitely improve your mood to a great extent. • Facing your fears means not avoiding things that are hard. For instance, if you notice that you're going in to debt, get advice on how to prioritize your debts. Generally, when people are anxious, they tend to avoid talking to others and some even lose their confidence about driving or travelling. If this is the case, facing up to these situations will help them deal with them better. • For some individuals, alcohol can become a problem. Some may drink more than usual a day as a way of dealing or hiding emotions and sometimes, just to kill time. But, alcohol wont help you deal with your problems, instead it could add to your stress. Most individuals who experience emotional distress may pick themselves up after a couple of days or weeks. But, there are people who are very anxious, experience low mood that doesn't seem to go away, and such feelings interfere with the way they live their life. If you start feeling like you really can't cope, talking to a mental health professional could help.